Menara Binjai, a 35-storey state-of-theart green office tower being built in the heart of KL’s Golden Triangle, has been awarded Singapore’s Provisional Building and Construction Authority (“BCA”) Green Mark Gold Certification. 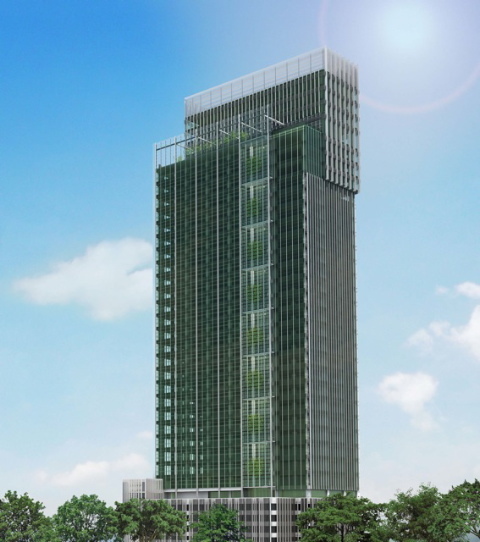 Menara Binjai is also awaiting the final approval for its certification from Malaysia’s Green Building Index (“GBI”). With these dual green certifications, Menara Binjai will be the first dedicated office tower in Malaysia to be awarded both awards. “We are delighted that Menara Binjai has been awarded BCA Green Mark Gold status. Right from the start, the company decided that the design and features incorporated into the tower would use cutting-edge Green technology to reduce the environmental impact wherever possible,” said Chua Guan-Hock, one of the six directors of the developer, Khor Joo Saik Sdn. Bhd. Located next to the Ampang Park LRT Station, Menara Binjai is a stone’s throw from the Petronas Twin Towers and KLCC, and is easily accessible from all major highways. “We are very fortunate to have a unique location at the intersections of three major roads which are Jalan Ampang, Jalan Binjai and Jalan Tun Razak. All key highways, MEX, DUKE, and AKLEH are easily accessible. Tenants and visitors have a variety of transportation options whether by car, or public transport such as the LRT, buses, and taxis,” commented Chua on Menara Binjai’s location. Designed by Veritas Architects, with Ranhill Consulting as mechanical and electrical engineering and green consultant, the tower complies with stringent environmental regulations. The energy-efficient operations allow up to 25% savings on electricity and air-conditioning consumption. 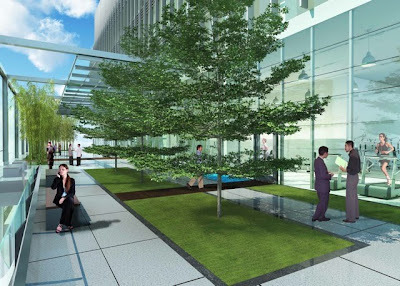 “We are also bringing nature to every three floors of Menara Binjai. Every third floor will have access to a unique triple volume garden terrace with lush greenery. This is a first for office towers in the country. There is also a Sky Garden on the 32nd floor where an unobstructed view of the Kuala Lumpur cityscape awaits. We spend most of our time in the office, and we want to ensure our occupants are comfortable and enjoy coming to work every day,” added Chua.